Performance Management | Employees | Do they have influence? Home » Blog » Decision management » Do they hear me? When introducing performance management, employees always test whether they have influence. It is not about listening patiently to an employee, but, rather, about hearing what he says. What is more obvious, people who should concentrate on behaving as an indicator in the cockpit, are actually involved in the development of this indicator. So, giving the influence means creating a single line with the use of the principle of ownership. This implies that the indicators are developed by or with the managers and employees (the team) to which they relate. Moreover, they are involved in identifying and determining the best measures to get the indicator position in the target area. However intensively they want to be involved to feel responsible for key performance indicator positions depends on the culture of the organization. In some organizations, this is not arranged properly. The application of the ownership principle does not fit with the management style and encounters problems. The managers of the highest management level are usually sufficiently involved, they often design the top-dashboard. In practice, however, particular steps should be taken to ensure that ownership is obtained at the second and subsequent steps of the decomposition process. These are the steps, where strategic indicators (lagging indicators) will be elaborated into tactical and operational indicators (leading indicators). On departmental or team level measures should be formulated in line with this in order to bring these indicators to the correct position. This is necessary to establish commitment to these indicators and measures. The leadership must not only pretend they delegate influence to their staff, but they must actually do it. They often say in the boardroom, “people have to feel they are involved”, which is wrong. People in their workplaces quickly figure out whether a play is performed. In many organizations, the test question is asked: “Do they listen to me?” the guidance for the problem we refer to is “the art of letting go.” The more empowerment employees get, the more needs to be released. Managers often feel so much personally responsible for the results of their organization, that they strain every nerve to describe in detail how these results should be achieved. There is not much left of ownership. The remaining ownership is passive, at most, and not shared. Delegation is a process in which one should dare to gain experience before it works properly. However, the fear that the employees ‘make a mess’ has no grounds. Experience shows that an employee is able to figure out (leading) indicators for the short term in his/her workplace much better than on staff level. For example, Pritchard (1990, 1995) developed the performance management system ProMES (Productivity Measurement and Enhancement System) principle with employees having a major influence on the choice of indicators, thus increasing productivity. When the management notices that the lower levels pick up the new strategy, they are automatically less tempted to arrange everything by themselves. This gives them enough time to provide support. Instead of being too authoritative, managers now spend their time motivating others, supporting and coaching in obtaining the results. Nevertheless, the leadership still “controls” and uses a relatively small set of indicators from the Organization Cockpit. The management is extremely ambitious when they decide to introduce performance management. However, it makes little sense to immediately “full throttle” the launch. The motto is the following: start slowly, because the staff would want to assess whether they can keep up. The introduction of performance management adds new elements to the work. The organization is not yet adjusted to work with the PDCA cycle for achieving improvements. In the subsequent cycle one should be capable to analyze indicator values, determine causes and formulate improvement actions. The task content is much more extensive with more personal responsibility for their own results. This may entail facing difficult decisions without leaving it for the manager. The game rules will really be changed. The new game rules easily feed learning fears, which we would like to avoid. Because learning fears result in resistance, which impedes the implementation of the Organization Cockpit. This may be solved by the management, who has to point out that ‘we are going to have an easy start’ and that they believe it is important to first get through some routine together. Meanwhile, the leader must make clear that this is not a matter of an experiment and there is no way back. The leadership’s behavior demonstrates that performance management will definitely be introduced. However, there should not be any misunderstanding about an ‘easy start’. Its purpose is to reveal small successes shortly after starting, in order to encourage the team to continue and to reduce resistance. “Success breeds success.” This step-by-step approach has a great chance of success because the staff will experience on their own what performance management and business intelligence means in practice. They will find out that they can do it in the best possible way and, moreover, that they now have much influence. This applies not only to production workers; but it is even more applicable to the modern knowledge worker. Mastenbroek (1996) writes, “It is essential that both employees and managers perceive the indicators as their own instrument. However, once anyone believes that the BI tool in question was imposed from the top, this tool becomes ultimately regarded as an instrument of control. Training staff to handle data for their work on their own often leads to increased ownership and involvement. The effect is a paper system that involves hand work, which quickly loses its credibility. ” In short, managers should use indicators so that they have a motivational effect. This is the very reason why they must clearly show the success of the first improvement. This stimulates the proponents to go on with improvements and entices stragglers to cross the line. This stimulating role of performance indicators has a leverage. The success of small improvements motivates and inspires employees to think about, it originates the belief in further improvements, as the ‘fuel consumption’ shows. This means, that it is better to start with a number of relatively simple measures, which result in improvement in the short term. Many authors (e.g. Schaffer and Thomas, 1992) consider the implementation and communication of these short-term successes as a basis for further and continuous improvement. 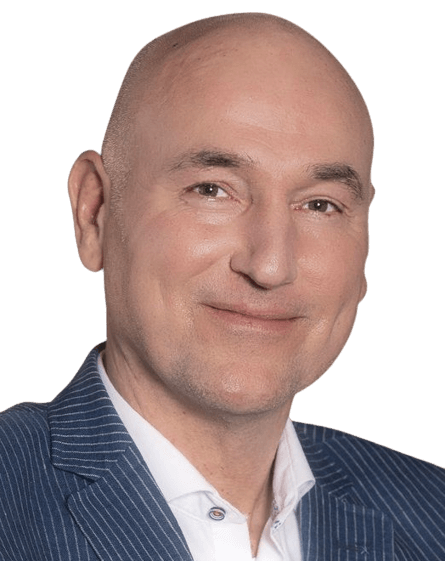 Daan van Beek MSc, speaker, trainer and author of the BI-book 'The intelligent organization'. He is the CEO of the Passionned Group and you can have direct contact with him using LinkedIn. We love to help you getting started with do they hear me?.